Its reportclaims that about 600,000 Macs have installed the malware - potentially allowing them to be hijacked and used as a "botnet". Java's developer, Oracle,issued a fix to the vulnerability on 14 February, but this did not work on Macintoshes as Apple manages Java updates to its computers. 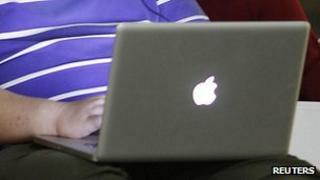 Apple released its own"security update"on Wednesday - more than eight weeks later. It can be triggered by clicking on the software update icon in the computer's system preferences panel. The security firm F-Secure has also posted detailed instructions abouthow to confirm if a machine is infectedand how to remove the Trojan.